Love your site. You have saved me so much money. Thank you. I think all the cool target cards are neat! Thanks for this chance! Im going to grab some free floss and ibprofren and sponges today!! Yet another cute gift card! Awesome gift card to win! My favorite place to shop…always! I would love love love to win this! thanks! I am a facebook fan of Totally target! 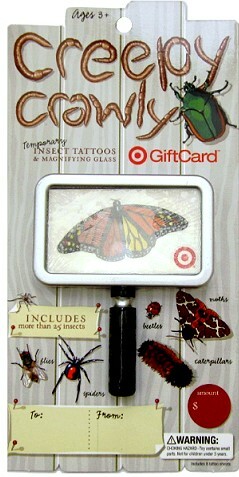 I would love to win this card for me & I know my niece would love those tattoos. Just found your site! Target is my favorite store ever….thanks for the giveaway! Let me win this time! Pick me, I looooove Target! Where do you find such cute gift cards!?! I love you on FB ALREADY!!! !